Emily Hartford is an actor, director, and puppet designer. With Flux, she directed the 2016 production of Rizing, short pieces in #SpeakUp: The Street Harassment Plays and Breathe Free, as well as assistant directing Salvage and Jane the Plain. Emily holds a BFA in Theatre Arts Performance from Hofstra University. 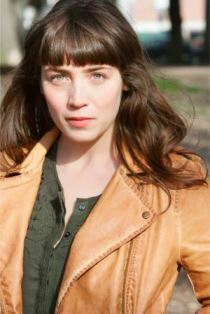 She lives in Brooklyn with Ned (a guy) and Miette (a cat).